We have a flooring solution that is flat out better, and we can guarantee it for a decade. It's been too long of the same-old industry standards. 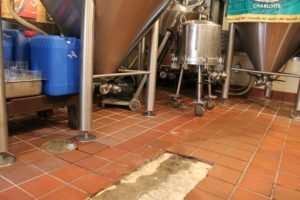 Experience the flooring solution that's challenging the norm and raising the bar in the industry. Avoid loss of revenue with a hassle free installation. Maximize your investment with floors guaranteed to last. Competitive pricing for a superior floor. 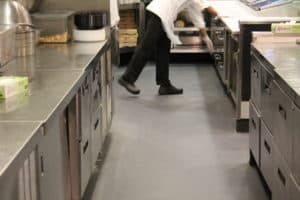 Once an Eco-Grip Floor is installed it allows my clients to focus on what they do best, deliver superior food and service. 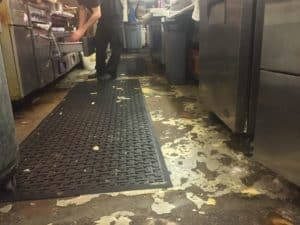 If you are looking to resolve your current flooring issues or avoid any in the future take my advice and contact Eco-Grip Flooring. Cracked tiles. High Maintenance. Slips & Falls. Special shoes? Special Mats? Not with Eco-Grip. NO CHIP. NO PEEL. NO HARDENING. Chipping. Peeling. Cracking. Bubbling. Gapping seams. – Sound familiar? Not with the durability guaranteed with Eco-Grip. Our foundation is laid with a humble introduction and a hand shake. We want to meet you, be thorough, and create a personalized flooring experience that exceeds all expectations. You join a community dedicated to actively challenging the status quo. We will advance an industry stuck in its ways and contribute to protecting the environment one floor at a time. Fueled by over 170,000 sq. ft of manufacturing, a national network of highly trained technicians, and an obsession with quality assurance – the job is always done right. We’re a company focused on raising the bar. 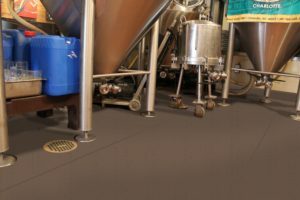 The commercial flooring industry has gotten comfortable and Eco-Grip is turning it on its head. We offer a high quality, super durable, eco-friendly, and cost effective solution with overnight installation. Sound too good to be true? We’re not into gimmicks either, so let us prove it to you.